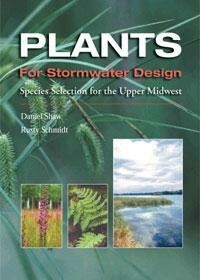 The tables and content on this page have been adapted from “Plants for Stormwater Design: Species Selection for the Upper Midwest” (Daniel Shaw and Rusty Schmidt, Minnesota Pollution Control Agency, 2003). 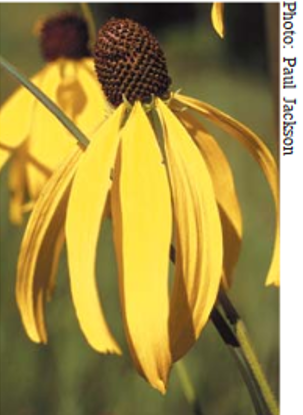 The tables and content on this page have been adapted from “Plants for Stormwater Design: Species Selection for the Upper Midwest” (Daniel Shaw and Rusty Schmidt, Minnesota Pollution Control Agency, 2003). To obtain a free copy of this guidebook, telephone (651) 297-8679 or write to Operations and Environmental Review Section, Regional Environmental Management Division, Minnesota Pollution Control Agency, 520 Lafayette Rd. N., Saint Paul, MN 55103-1402. Zone 1 (Submergent zone) – The submergent zone is found in areas of 3-6 feet of water in wet ponds. Therefore, it is an unlikely zone to include in a Swale design, though exceptions may occur. Submergent vegetation makes up this zone because emergent vegetation generally does not grow deeper than 3 feet. Submergent species may float free in the water column or may root in the pool bottom and have stems and leaves that generally stay under water. Submergent species are important for wildlife habitat and pollutant removal, especially nitrates and phosphorus. 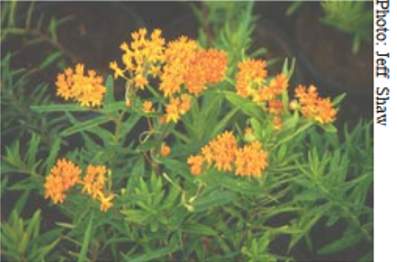 Submergent species are not readily available from native plant nurseries and can be difficult to plant. Many submergent species establish on their own (Ogle and Hoag 2000). Zone 2 (Emergent zone) – The emergent zone of a wet pond is generally 0 to 18 inches deep. It is often designed as benches within ponds to optimize the area for emergent plants. This zone is most common to Swale designs from the center of the Swale to, typically, the water quality stage elevation. 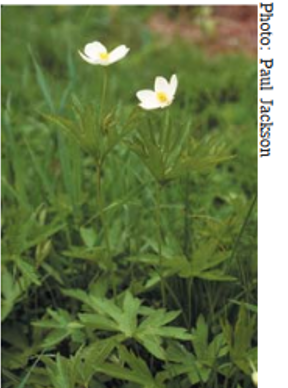 Emergent plants are important for wildlife and evapotranspiration. They also provide habitat for phytoplankton, which play an important role in nutrient removal (Ogle and Hoag 2000). 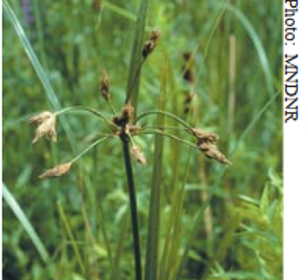 A wide variety of wetland species are adapted to the emergent zone. However, large fluctuations in water level and pollutants within wet ponds may limit the number of species. Zone 3 (Wet meadow zone) – The wet meadow zone is a constantly moist area that can become inundated. The transition area between open water and the shoreline is prone to erosion. Therefore, it is an important area for plant establishment. This zone extends from Zone 2 to the Zone 4 and is common in swale designs. 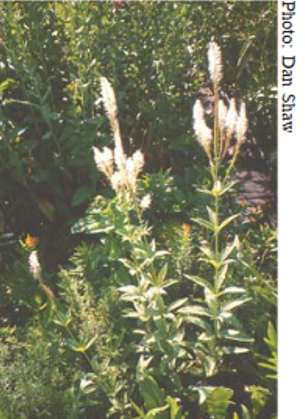 In addition to wet-meadow grasses, sedges, flowers and shrubs, such as dogwoods, willows, buttonbush and chokeberry, are well suited to this zone. Zone 4 (Floodplain zone) – The floodplain zone is normally dry but may flood during snowmelt and after large storms. This zone can occur in Swales designed with 2-stages of inundation; one for water quality storage and the second for channel protection storage. It should be noted that small depression storage can be built into this zone as wetland storage areas for additional treatment and habitat enhancement. These depressions would be considered either Zone 1-3, depending on depth and duration of inundation. Floodplain zones are generally flat terraces and are common along rivers and streams. If a wet pond has a steep side slope, it may go directly from zone 3 (wet meadow zone) to zone 5 (upland zone) without having a floodplain zone. Floodplain species must be adapted to extremes in hydrology; they may be inundated for long periods in the spring and be dry during the summer. The ability of floodplain species to handle extremes in hydrology make them well suited to the edges of wet ponds and detention ponds. Zone 5 (Upland zone) – The upland zone is seldom or never inundated. A wide variety of species are well adapted to the upland zone and their selection will depend on the site conditions. 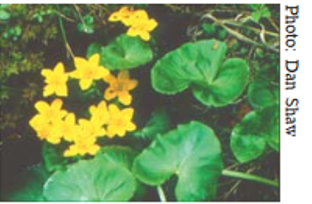 Marsh marigold, Zone 2. From Shaw and Schmidt (2003). River bulrush sedge, Zones 2 and 3. From Shaw and Schmidt (2003). 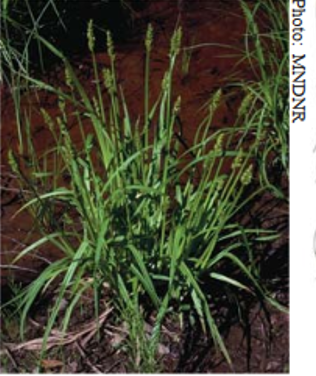 Awl-fruited sedge, Zone 3. From Shaw and Schmidt (2003). The emergent zone of a wet pond is generally 0 to 18 inches deep. It is often designed as benches within ponds to optimize the area for emergent plants. This zone is most common to Swale designs from the center of the Swale to, typically, the water quality stage elevation. 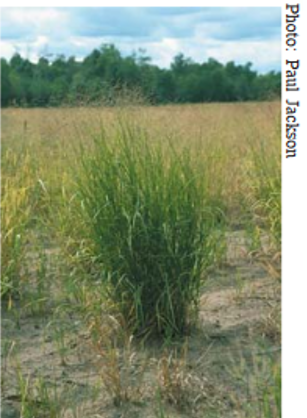 Emergent plants are important for wildlife and evapotranspiration. They also provide habitat for phytoplankton, which play an important role in nutrient removal (Ogle and Hoag 2000). 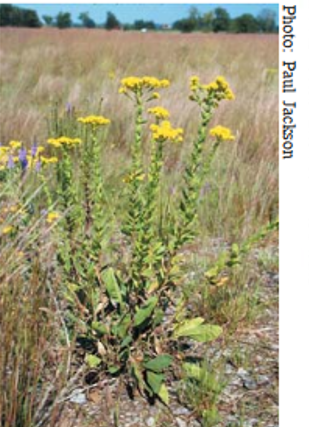 A wide variety of wetland species are adapted to the emergent zone. However, large fluctuations in water level and pollutants within wet ponds may limit the number of species. The wet meadow zone is a constantly moist area that can become inundated. The transition area between open water and the shoreline is prone to erosion. Therefore, it is an important area for plant establishment. This zone extends from Zone 2 to the Zone 4 and is common in swale designs. 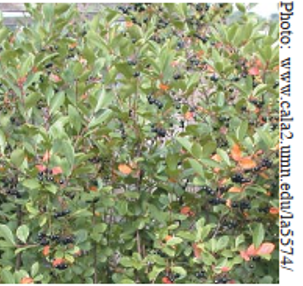 In addition to wet-meadow grasses, sedges, flowers and shrubs, such as dogwoods, willows, buttonbush and chokeberry, are well suited to this zone. The floodplain zone is normally dry but may flood during snowmelt and after large storms. This zone can occur in Swales designed with 2-stages of inundation; one for water quality storage and the second for channel protection storage. It should be noted that small depression storage can be built into this zone as wetland storage areas for additional treatment and habitat enhancement. These depressions would be considered either Zone 1-3, depending on depth and duration of inundation. Floodplain zones are generally flat terraces and are common along rivers and streams. If a wet pond has a steep side slope, it may go directly from zone 3 (wet meadow zone) to zone 5 (upland zone) without having a floodplain zone. Floodplain species must be adapted to extremes in hydrology; they may be inundated for long periods in the spring and be dry during the summer. The ability of floodplain species to handle extremes in hydrology make them well suited to the edges of wet ponds and detention ponds. The upland zone is seldom or never inundated. A wide variety of species are well adapted to the upland zone and their selection will depend on the site conditions. Culver's root, Zone 3. From Shaw and Schmidt (2003). Switchgrass, Zone 3, 4. From Shaw and Schmidt (2003). Obedient plant, Zone 4. From Shaw and Schmidt (2003). Canada anemone, Zone 4. From Shaw and Schmidt (2003). Black chokecherry, Zone 4. From Shaw and Schmidt (2003). 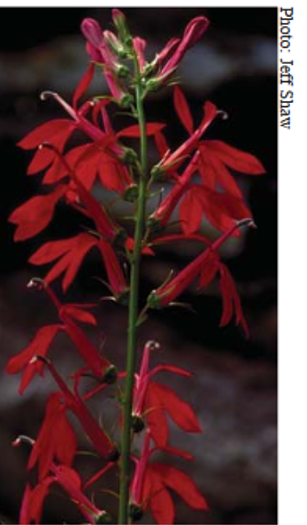 Cardinal flower, Zone 4. From Shaw and Schmidt (2003). 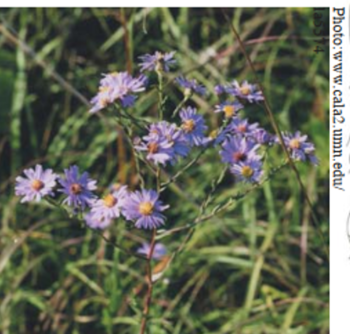 Smooth aster, Zone 5. From Shaw and Schmidt (2003). Butterfly milkweed, Zone 5. From Shaw and Schmidt (2003). 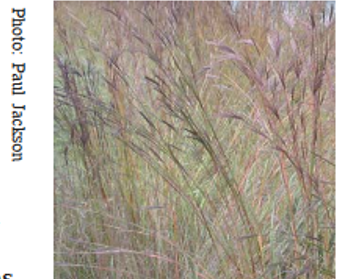 Big bluestem, Zone 5. From Shaw and Schmidt (2003). Yellow coneflower, Zone 5. From Shaw and Schmidt (2003). appropriate plants for dry swales. Click on an image for enlarged view. Wet swale appropriate plants. Click on an image for enlarged view. Plants appropriate for either dry or wet swales. Click on an image for enlarged view. Dry swale and wet swale (no check dams). Dry swales must drain within 48 hours to meet permit requirements and therefore typically utilize Zones 4 and 5 plants. Wet swales are always wet and utilize Zones 2, 3, and occasionally Zone 4 plants. Black chokecherry, Spring. From Shaw and Schmidt (2003). Butterfly milkweed, Summer. From Shaw and Schmidt (2003). Stiff goldenrod, Fall. From Shaw and Schmidt (2003). The MNDOT Seeding Manual also provides standard seed mixes designed for the conditions and locations shown in the tables below, as well as application rates and specifications. 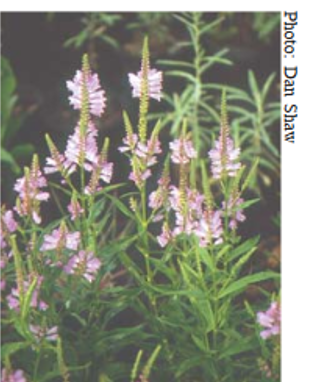 Note that while the resources below provide extensive information on plants that can be used in swales, some of the references are for other areas of the country. If using these resources, ensure the information is applicable to Minnesota. This page was last modified on 21 May 2018, at 14:51.